These cupcakes are great! You seem to be eating chocolate and chocolate but the truth is that they are actually really healthy. They contain beets, which are known to provide antioxidants, detox your body, are good for your heart and are also a good source of energy. 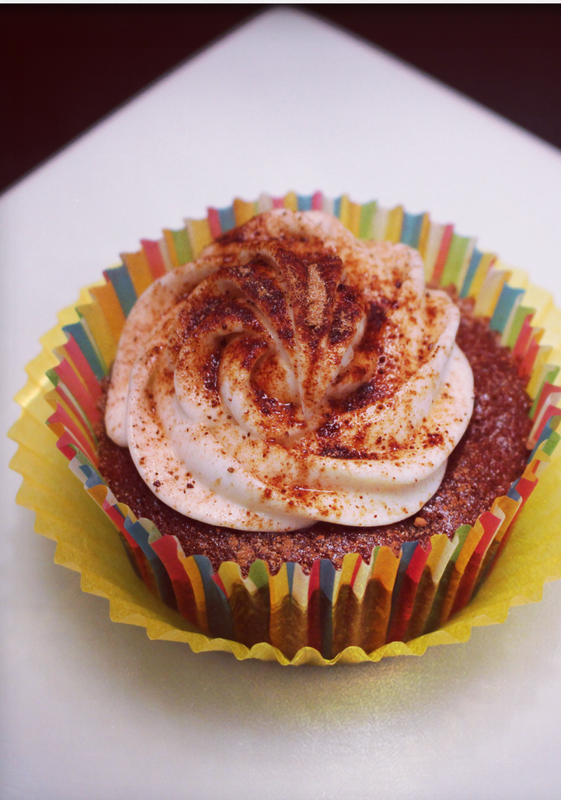 These cupcakes also contain coconut oil that not only enhance the flavor, but also contain good fats that are good for your blood sugar, and good for you. Most of all, they taste great and everybody loves them! In a food processor add beets, coconut oil, milk and sugar. Blend until smooth. Pour to a mixing bowl. In another mixing bowl add cinnamon, flour, baking powder, salt, and cocoa powder. Mix well. Slowly pour the dry ingredients into the wet ingredients and mix until the batter is incorporated and there are no lumps. Add the chocolate chips and mix with a spatula to evenly distribute them. Using a hand mixer, whip together all the ingredients until it reaches the right consistency. Pour the frosting into a piping bag. When cupcakes have cooled completely, frost them and sprinkle with the cocoa/sugar mixture. Keep in the fridge. Take out of the fridge about an hour before serving.